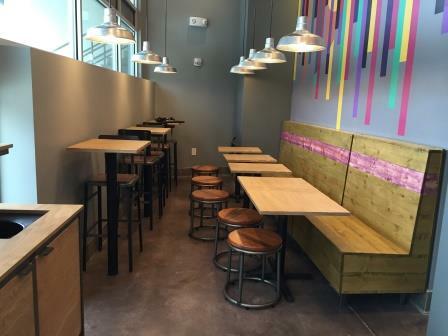 Taco Bell is excited to bring its urban inline concept to Midtown Atlanta. Along with the familiar menu items that folks yearn for, this location is thrilled to have Coca-Cola as a partner with their Freestyle fountain dispensers. This store features a unique design with an open kitchen where patrons can interact with their food, focusing on the idea that food should be an experience and not just fuel. We are excited to serve our customers from 7am for breakfast to late nights on the weekends. Live Mas!